That is correct. 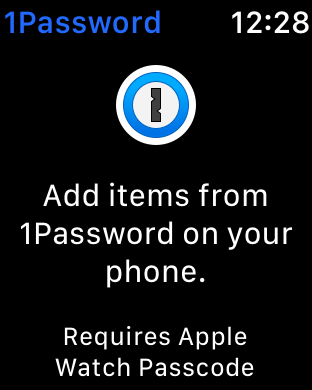 When I attempt to open 1Password on my Apple watch the graphic above appears. It does not give me an opportunity to enter anything else. I was able to open 1Password on my watch. I did not know that I needed to select items on my phone that I wanted to have available on my watch.